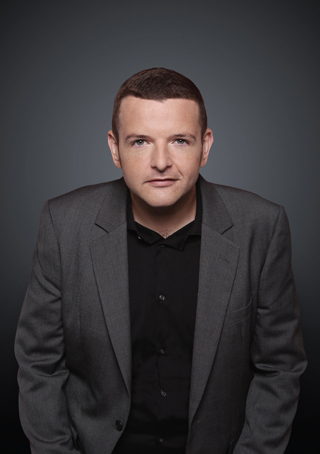 It’s hard to believe that Kevin Bridges is just 32 years old. And I say that for a number of reasons. First of all, there’s his physical appearance – admittedly he looks slimmer and healthier than I’ve seen him for a while – but he still comes across as someone a few years older. Secondly, the Scottish comic seems to have been around for ages. Since breaking onto the scene in 2006, Bridges has packed out arenas, and is a staple on panel shows like Have I Got News For You, Would I Lie To You?, Mock The Week, 8 Out Of 10 Cats Does Countdown, The Last Leg and A League Of Their Own. He also had his own TV series Kevin Bridges: What’s the Story? back in 2012, which was followed two years later by his autobiography We Need to Talk About Kevin Bridges. He was still only 27. However, the main reason Bridges comes across older than he is, is down to the nostalgic material in his stand-up shows. This current tour, entitled ‘Brand New’, covers subjects that you’d expect from someone who grew up in the 1970s or 80s, rather than the 90s. The evening’s entertainment in Sheffield began with the support act, star of BBC Three’s Impractical Jokers Paul McCaffrey, who warmed up the South Yorkshire crowd brilliantly by explaining why Take Me Out is his favourite TV show and how holidays with his wife are different to those of his youth. And then it was onto Bridges, whose own childhood in Scotland is a rich, tried-and-tested source for his humour. As a man who celebrates and appreciates direct human interaction, he clearly misses the simpler times before the rise of the internet. The no-frills, working class lad from Clydebank has little time for Facebook, Instagram, smug social media posts, and even fast-food services Deliveroo and Just Eat. As he also laments in this show, the youth of today will never experience the character-building effects of summoning up the courage and asking somebody to ‘get off’ with you, only to be rejected. Kevin ‘Bridges’ the gap (pun intended) between generations – he’s ‘young but no longer a youth’, as he puts it. And nowadays, having made a decent whack from the comedy circuit (but still a couple of trips to the bookies away from being broke again), he also sits between classes. Nevertheless, Bridges still champions the unpretentiousness of his working-class roots, while also providing satirical comment. His subjects here included dieting, racism, social mobility, vaping, ageing and, of course, those staples of 2018 stand-up, Brexit and Donald Trump. Without wanting to give any of his jokes away, his best routine was reminiscent of his hero Billy Connolly, as he imagined carpenter Joseph returning to the building site after Mary has given birth and explaining the immaculate conception to his sceptical mates. After a third sold-out tour of 180 dates, ‘A Whole Different Story’ in 2015, Bridges was, according to one interview, tired of the airports, TV shows, and coming back to an empty flat. Some critics also said his brand of comedy was ‘at a crossroads’. Sure, he was selling out big venues like the SSE Hydro in his home country, but still not drawing in sizeable arena crowds south of the border. So what did he do instead of delivering jokes? “I went to study Spanish in Madrid for a while,” he says. Three stone lighter, and obviously more content, Bridges is now back concentrating on live work rather than TV opportunities. During 2018 he has performed shows in Australia, New Zealand, Singapore and Dubai, as well as The Hunter Foundation’s charity dinner in Edinburgh in front of former US President Barack Obama. Recently, he has not only played the more intimate Sheffield City Hall, but also London’s legendary Hammersmith Apollo, and a run of 19 dates at Glasgow’s SSE Hydro, in which he entertained around 11,000 people every night. Despite this, he is still a bit off being the most famous and recognisable stand-up in the UK, particularly in England, where his tickets sales are dwarfed by the likes of Peter Kay, Michael McIntyre and Micky Flanagan (that particular trio are aged 45, 42 and 56, respectively, by the way). Nevertheless, as he shared the minutiae of life with an audience who grew up in a different city (and different country), his observations were universal, thanks in part to his unexpected talent for impressions and accents. His Northern Ireland references are particularly impressive. To sum up, this simple, carefully crafted and perfectly executed show in which he stood alone with a mic against only a black curtain, proves that Bridges is among the best comedians around. And as he is (deceptively) young, he will be around for many more years to come.